I saw a great Volvo commercial today that featured a song by Salem al Fakir. He is a Swedish pop star, and aside from the totally cool 80’s vibe, his songs are pretty good lyrically. You know I can not do anything about it. Look into my eyes, this is who i am. I’m sorry but this is simply GLORIOUS! And now my uninvited commentary: Salem’s music and this song in particular, combine the sensibilities of Stevie Wonder, Phoenix, (early)Emerson Lake and Palmer, OutKast, Steely Dan, Jan Hammer, Billy Cobham, the Wu-Tang Clan, and Ennio Morricone. I find it almost as addictive as Phoenix’s old hit “If I ever feel better.” I dare you not to dance to this song. I think its possible that when God was writing “The Story”(before all worlds) he dripped an ink blob of gospel sauce into these gracious beats. Thank you Lord and thank you Mr. Potter. Glad you enjoy his stuff too Joshua He is something of a musical prodigy…apparently he plays every instrument on that track. I am not embarrassed to say that I listened to his other (addictive as crack) song 'It's True' at least 30 times today. Also, this is the song I heard on the Volvo ad…from now on Swedish = Good. Oh, by the way, you have to listen to this stuff with a good set of headphones or through decent speakers…laptop speakers just don't do it justice. Oh I love this! I’m really a sucker for good Swedish pop. 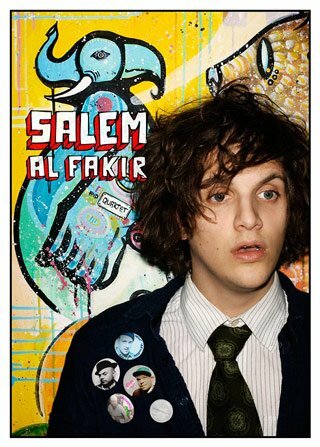 Komeda, Abba, Jens Lekman, and now Salem al Fakir!